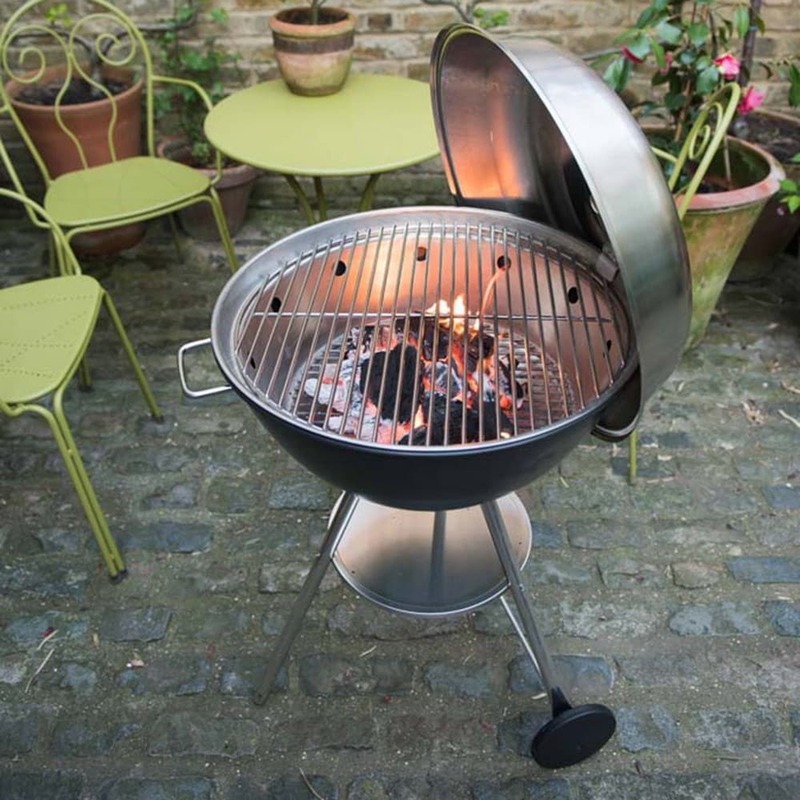 This Dancook barbecue is a perfect example of elegant and practical Danish design and manufacturing. 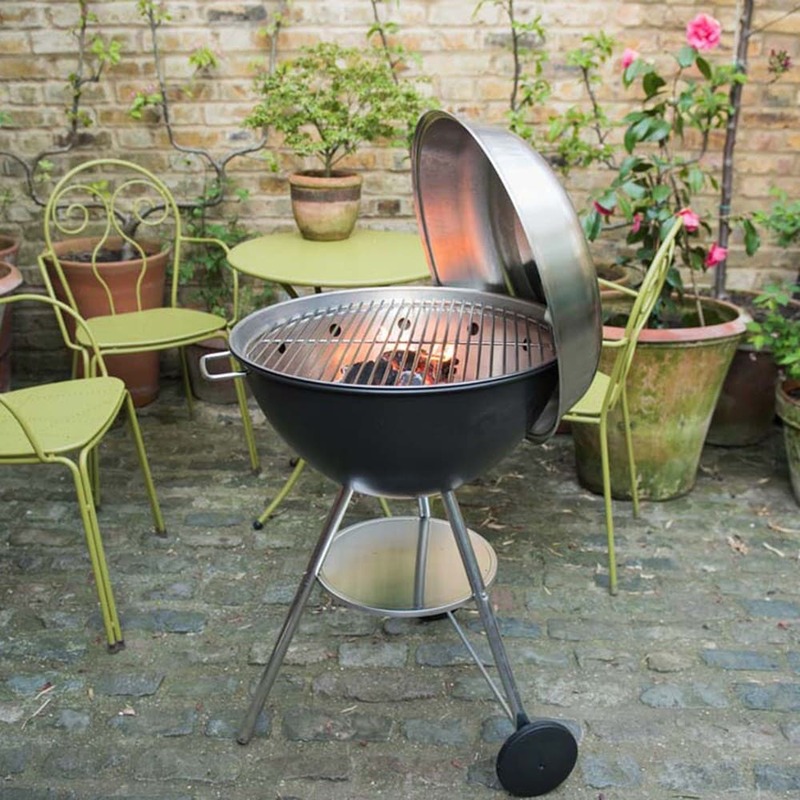 The clean lines of the charcoal coloured spherical base combined with the domed stainless steel lid will look stylish in any setting. This model has a patented spun metal inner liner that sits on the rim of the outer spherical base, creating a cavity between the two. 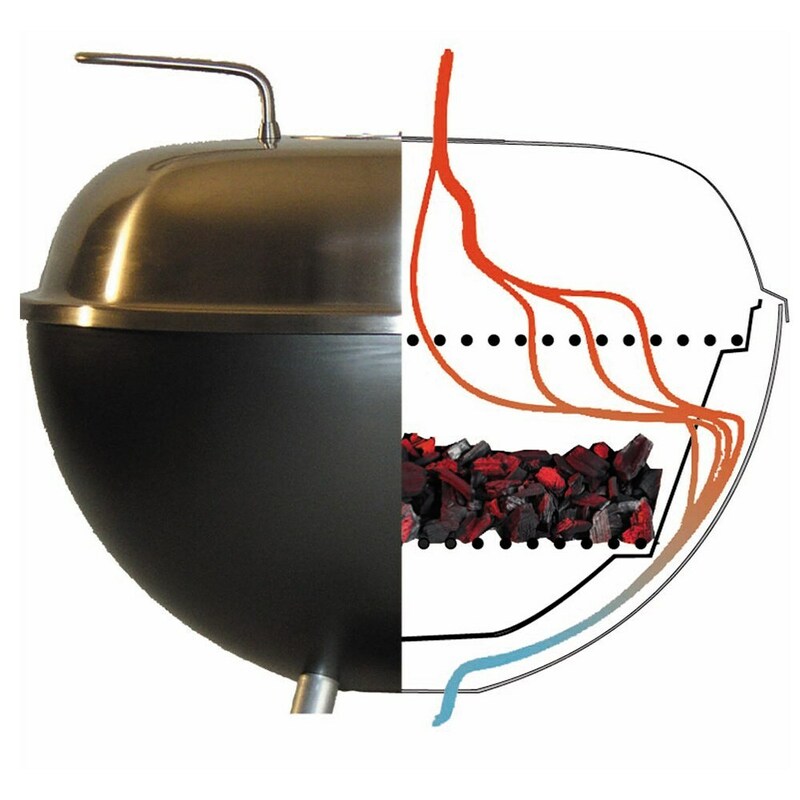 Equally spaced holes around the upper section let warm air flow up from the base through the cavity into the cooking area, creating an even cooking environment that makes the most of the heat given off by the charcoal. The liner improves cooking efficiency by up to 50% through pre-heating the air, reducing charcoal usage, as well as collecting grease and ashes. 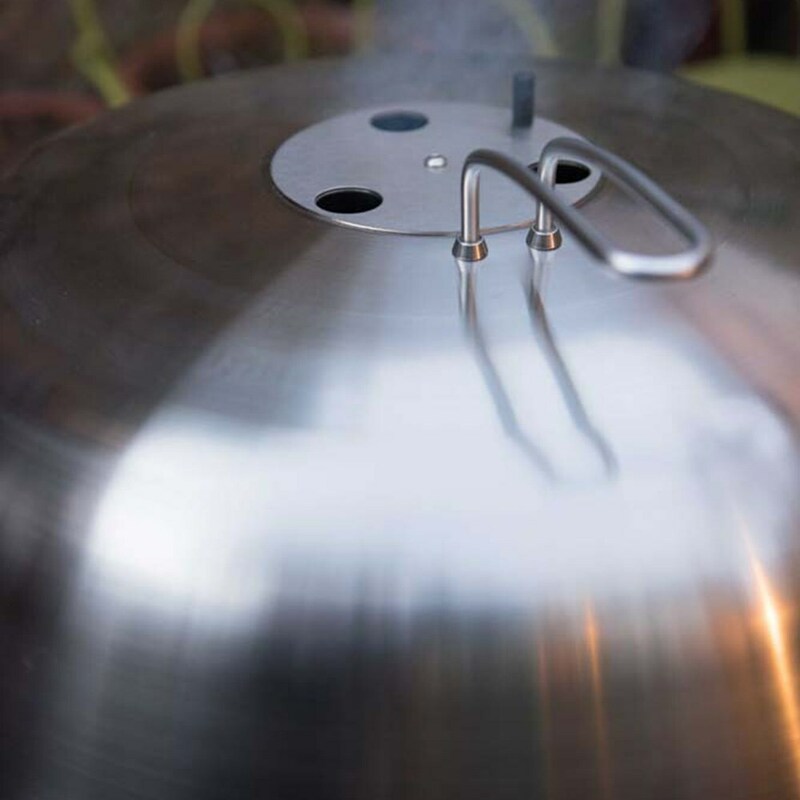 Air flow and temperature are adjustable by turning the ‘wheel’ on top of the spun stainless steel lid. 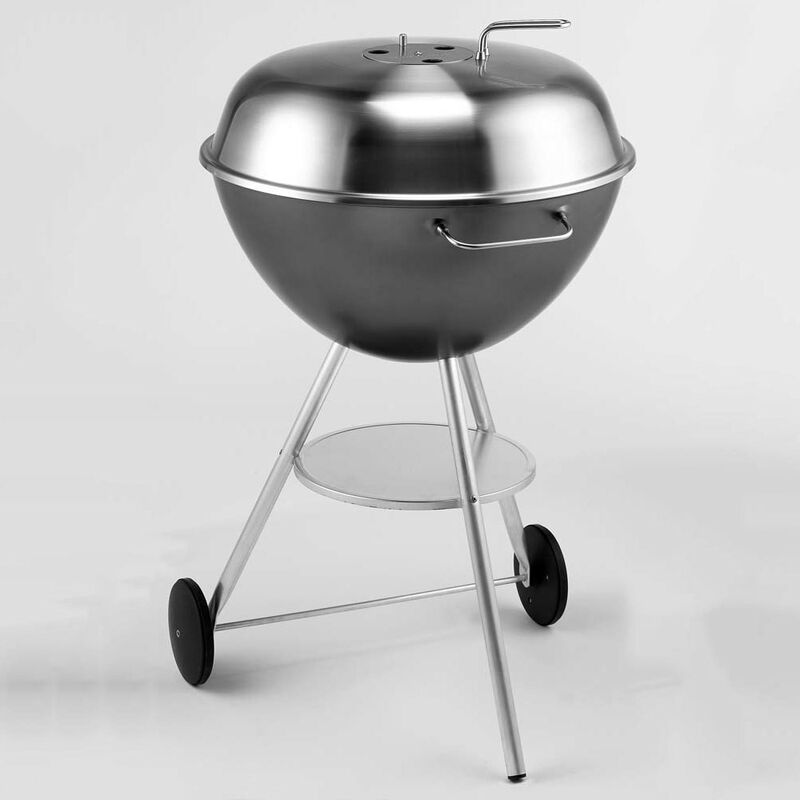 When not in use, the lid can be hooked on the side of the barbecue. 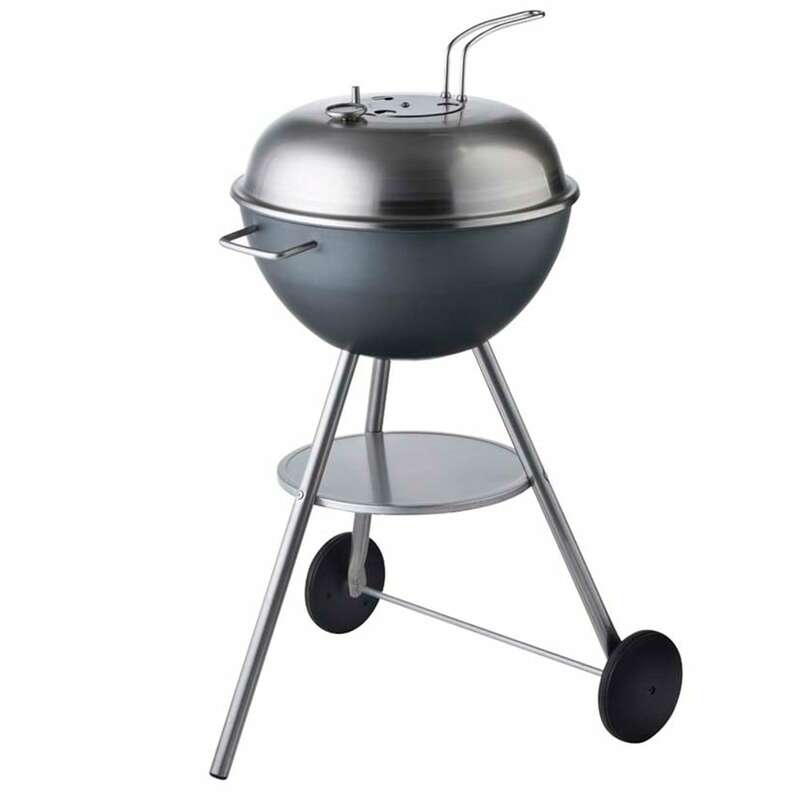 Includes a sturdy Ø6mm rod cooking grill and a round shelf triangulating the legs which provides a handy surface to keep cooked food warm. Supplied with a 15-year anti-rust guaranteee on all stainless steel parts.